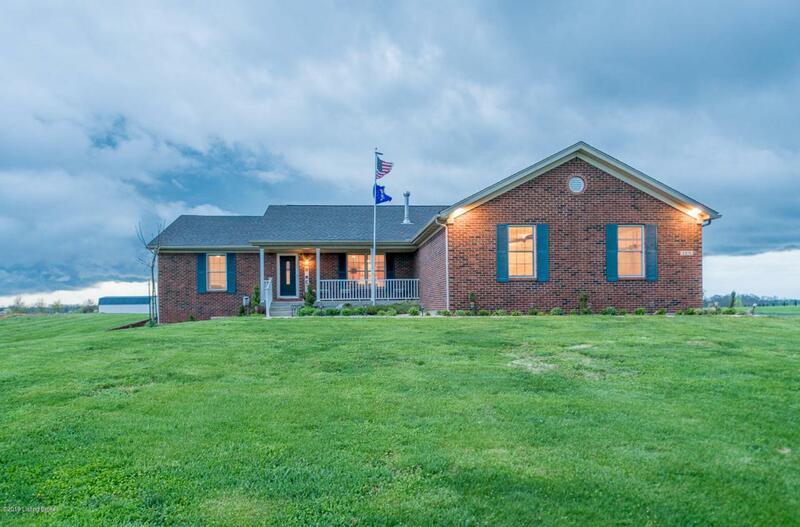 Located on a secluded, winding lane off of Aiken Road, this 3 BD/3 bath house is the perfect country home. Lovingly updated, original hardwood & trim adorn most rooms. The living room with a brand new gas fireplace opens to a stunning eat-in kitchen & dining room. All appliances are stainless steel & remain with the home. The backsplash & granite countertops have been recently updated. The dining room connects to a sun room, leading you outside to a pergola and stone fire ring. The master suite has two master closets and a newly renovated master bath. A laundry room, three car garage, & two more bedrooms & full bath complete the main floor. The basement has recently been renovated and includes a full bath & ample storage space. HVAC & Roof are 1 yr old. Home has backup power generator.